The islands have been inhabited for thousands of years. In 1568, the Spanish navigator Álvaro de Mendaña was the first European to visit them, naming them the Islas Salomón. Britain defined its area of interest in the Solomon Islands archipelago in June 1893, when Captain Gibson R.N., of HMS Curacoa, declared the southern Solomon Islands a British protectorate. 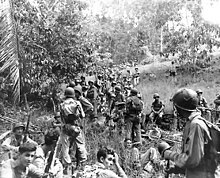 During World War II, the Solomon Islands campaign (1942–1945) saw fierce fighting between the United States and the Empire of Japan, such as in the Battle of Guadalcanal. The official name of the then British administration was changed from " the British Solomon Islands Protectorate" to "the Solomon Islands" in 1975, and self-government was achieved the year after. Independence was obtained in 1978 and the name changed to just "Solomon Islands", without the "the". At independence, Solomon Islands became a constitutional monarchy. The Queen of Solomon Islands is Elizabeth II, represented by a governor-general. During most of the period of British rule the territory was officially named "the British Solomon Islands Protectorate". On 22 June 1975 the territory was renamed "the Solomon Islands". 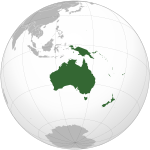 When Solomon Islands became independent in 1978, the name was changed to "Solomon Islands". The definite article, "the", is not part of the country's official name but is sometimes used, both within and outside the country. With the outbreak of the Second World War most planters and traders were evacuated to Australia and most cultivation ceased. 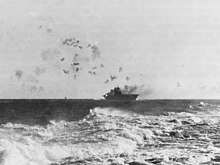 Some of the most intense fighting of the war occurred in the Solomons. The most significant of the Allied Forces' operations against the Japanese Imperial Forces was launched on 7 August 1942, with simultaneous naval bombardments and amphibious landings on the Florida Islands at Tulagi  and Red Beach on Guadalcanal. In October 2000, the Townsville Peace Agreement,  was signed by the Malaita Eagle Force, elements of the IFM, and the Solomon Islands Government. This was closely followed by the Marau Peace agreement in February 2001, signed by the Marau Eagle Force, the Isatabu Freedom Movement, the Guadalcanal Provincial Government, and the Solomon Islands Government. However, a key Guale militant leader, Harold Keke, refused to sign the agreement, causing a split with the Guale groups. Subsequently, Guale signatories to the agreement led by Andrew Te'e joined with the Malaitan-dominated police to form the 'Joint Operations Force'. During the next two years the conflict moved to the Weathercoast of Guadalcanal as the Joint Operations unsuccessfully attempted to capture Keke and his group. In April 2006, allegations that the newly elected Prime Minister Snyder Rini had used bribes from Chinese businessmen to buy the votes of members of Parliament led to mass rioting in the capital Honiara. A deep underlying resentment against the minority Chinese business community led to much of Chinatown in the city being destroyed. Tensions were also increased by the belief that large sums of money were being exported to China. China sent chartered aircraft to evacuate hundreds of Chinese who fled to avoid the riots. Evacuation of Australian and British citizens was on a much smaller scale. Additional Australian, New Zealand and Fijian police and troops were dispatched to try to quell the unrest. Rini eventually resigned before facing a motion of no-confidence in Parliament, and Parliament elected Manasseh Sogavare as Prime Minister. Parliamentary representation is based on single-member constituencies. Suffrage is universal for citizens over age 21. The head of government is the Prime Minister, who is elected by Parliament and chooses the cabinet. Each ministry is headed by a cabinet member, who is assisted by a permanent secretary, a career public servant who directs the staff of the ministry. The Governor General appoints the Chief Justice of the Supreme Court on the advice of the Prime Minister and the Leader of the Opposition. The Governor General appoints the other justices with the advice of a judicial commission. The Judicial Committee of the Privy Council (based in the United Kingdom) serves as the highest appellate court. [ contradictory] The current Chief Justice is Sir Albert Palmer. Solomon Islands is a member of the United Nations, Interpol, Commonwealth, Pacific Islands Forum, South Pacific Commission, International Monetary Fund, and the African, Caribbean, and Pacific (ACP) countries (ACP) ( Lomé Convention). Although the locally recruited British Solomon Islands Protectorate Defence Force was part of Allied Forces taking part in fighting in the Solomons during the Second World War, the country has not had any regular military forces since independence. The various paramilitary elements of the Royal Solomon Islands Police Force (RSIPF) were disbanded and disarmed in 2003 following the intervention of the Regional Assistance Mission to Solomon Islands ( RAMSI). RAMSI has a small military detachment headed by an Australian commander with responsibilities for assisting the police element of RAMSI in internal and external security. The RSIPF still operates two Pacific class patrol boats (RSIPV Auki and RSIPV Lata), which constitute the de facto navy of Solomon Islands. Solomon Islands is an island nation that lies east of Papua New Guinea and consists of many islands: Choiseul, the Shortland Islands; the New Georgia Islands; Santa Isabel; the Russell Islands; Nggela (the Florida Islands); Malaita; Guadalcanal; Sikaiana; Maramasike; Ulawa; Uki; Makira ( San Cristobal); Santa Ana; Rennell and Bellona; the Santa Cruz Islands and the remote, tiny outliers, Tikopia, Anuta, Fatutaka and Falkie Atoll. Recently,[ when?] Solomon Islands courts have re-approved the export of live dolphins for profit, most recently to Dubai, United Arab Emirates. This practice was originally stopped by the government in 2004 after international uproar over a shipment of 28 live dolphins to Mexico. The move resulted in criticism from both Australia and New Zealand as well as several conservation organisations. The Solomon Islands dollar ( ISO 4217 code: SBD) was introduced in 1977, replacing the Australian Pound Sterling. Its symbol is "SI$", but the "SI" prefix may be omitted if there is no confusion with other currencies also using the dollar sign "$". It is subdivided into 100 cents. Local shell money is still important for traditional and ceremonial purposes in certain provinces and, in some remote parts of the country, for trade. Shell money was a widely used traditional currency in the Pacific Islands, in Solomon Islands, it is mostly manufactured in Malaita and Guadalcanal but can be bought elsewhere, such as the Honiara Central Market. The barter system often replaces money of any kind in remote areas. The number of local languages listed for Solomon Islands is 74, of which 70 are living languages and 4 are extinct, according to Ethnologue, Languages of the World. Melanesian languages (predominantly of the Southeast Solomonic group) are spoken on the central islands. Polynesian languages are spoken on Rennell and Bellona to the south, Tikopia, Anuta and Fatutaka to the far east, Sikaiana to the north east, and Luaniua to the north ( Ontong Java Atoll, also known as Lord Howe Atoll). The immigrant population of Gilbertese ( i-Kiribati) speaks a Micronesian language. Radio is the most influential type of media in Solomon Islands due to language differences, illiteracy,  and the difficulty of receiving television signals in some parts of the country. The Solomon Islands Broadcasting Corporation (SIBC) operates public radio services, including the national stations Radio Happy Isles 1037 on the dial and Wantok FM 96.3, and the provincial stations Radio Happy Lagoon and, formerly, Radio Temotu. There are two commercial FM stations, Z FM at 99.5 in Honiara but receivable over a large majority of island out from Honiara, and, PAOA FM at 97.7 in Honiara (also broadcasting on 107.5 in Auki), and, one community FM radio station, Gold Ridge FM on 88.7. Traditional Melanesian music in Solomon Islands includes both group and solo vocals, slit-drum and panpipe ensembles. In the 1920s, bamboo music gained a following. In the 1950s, Edwin Nanau Sitori composed the song " Walkabout long Chinatown", which has been referred to by the government as the unofficial " national song" of the Solomon Islands. Modern Solomon Islander popular music includes various kinds of rock and reggae as well as island music. ^ Kenny EE; et al. (4 May 2012). 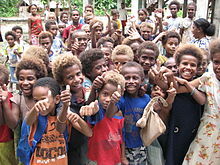 "Melanesian Blond Hair is Caused by an Amino Acid Change in TYRP1". Science. New York, N.Y. 336 (6081): 554. doi: 10.1126/science.1217849. PMC 3481182. PMID 22556244. ^ Norton HL; et al. (June 2006). "Skin and Hair Pigmentation Variation in Island Melanesia". American Journal of Physical Anthropology. 130 (2): 254–68. doi: 10.1002/ajpa.20343. PMID 16374866. ^ a b Ming, Mikaela A.; Stewart, Molly G.; Tiller, Rose E.; Rice, Rebecca G.; Crowley, Louise E.; Williams, Nicola J. (2016). "Domestic violence in the Solomon Islands". Journal of Family Medicine and Primary Care. 5 (1): 16–19. doi: 10.4103/2249-4863.184617. ISSN 2249-4863. PMC 4943125. PMID 27453837.